I have another great GIVEAWAY coming your way just in time for Christmas!!! 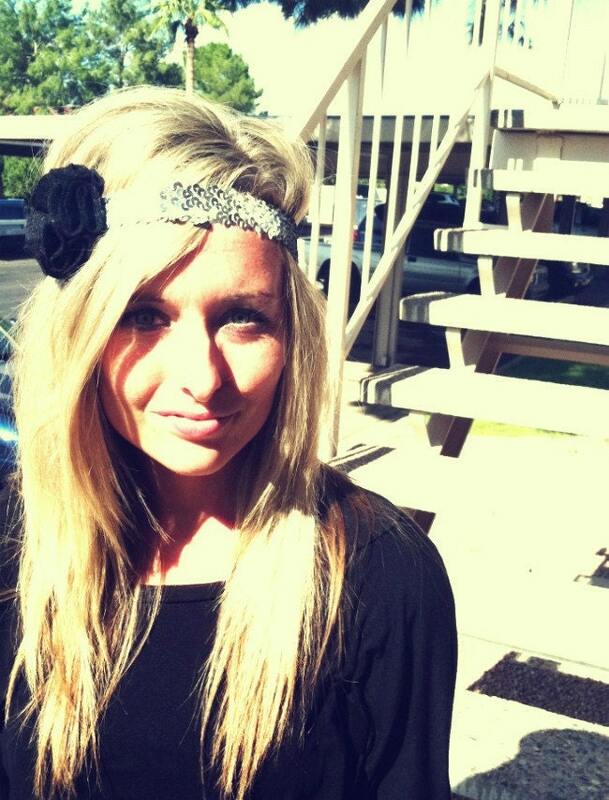 Ashley, from The Pink Ruffle, is an amazing headband boutique owner. You must know that if I'm advertising for a headband creator (since I have my own headband shop) I think her stuff is really special. She is married and has an adorable little sweetie, Emrie. 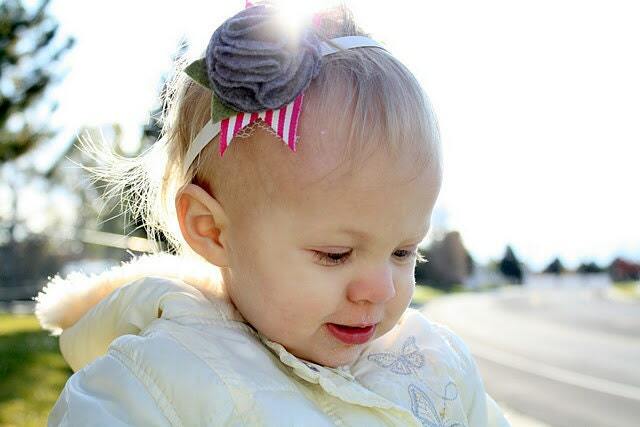 Emrie is the reason she started her headband collection. 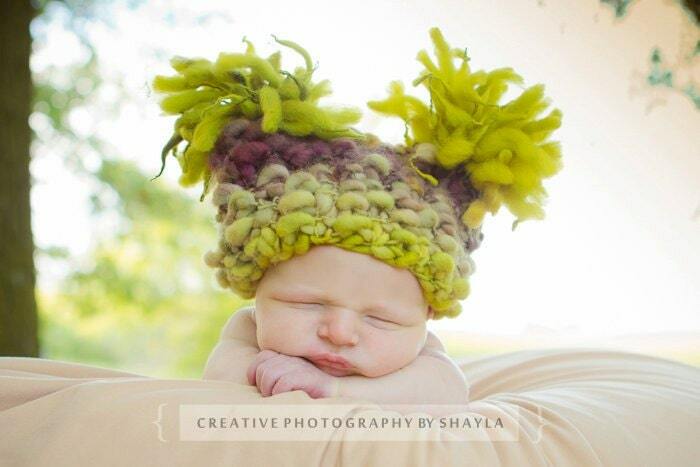 She wanted her little miss to have some fabulous hair decor without paying ridiculous prices. Trust me when I say... Her prices are totally awesome!!!! 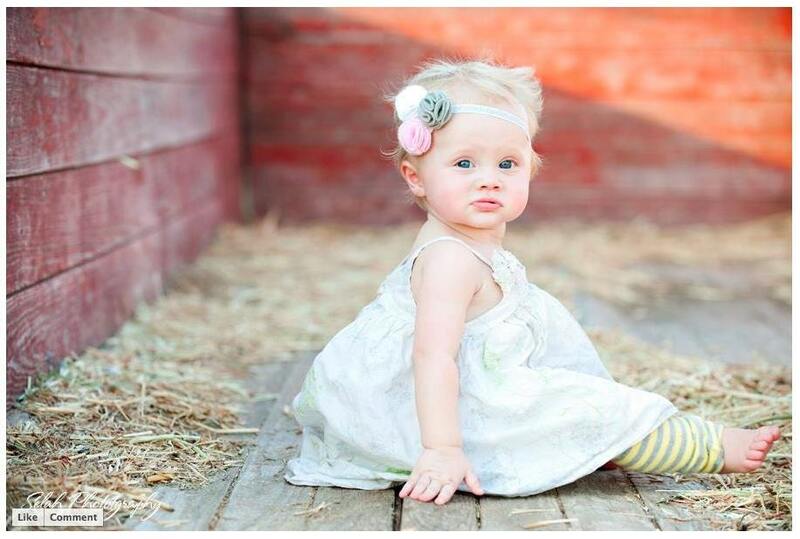 She sells headbands for ladies of all ages. Please check out her shop and see what you can find for yourself. 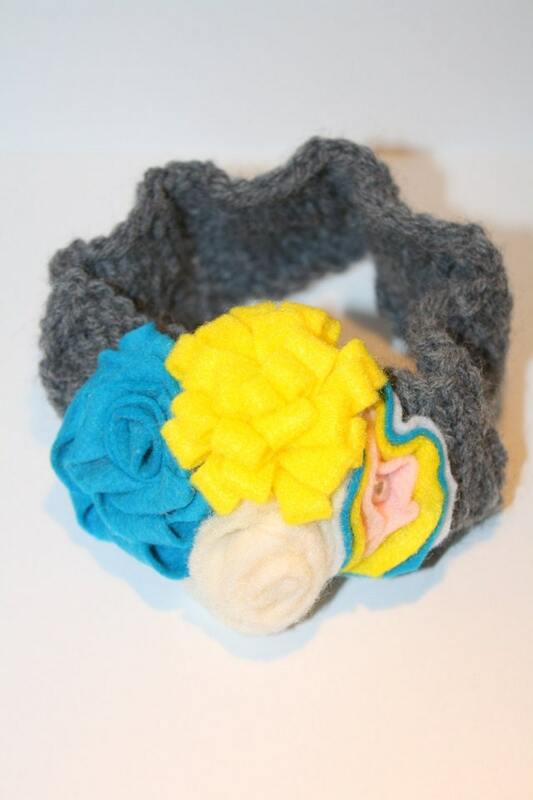 One lucky winner is going to take home the adorable headband pictured below. Thank you so much, Ashley for hosting the fabulous giveaway!!! I am so excited to announce the awesome Stitches by Sarah GIVEAWAY winner!!!! I liked The Quick Journey on FB (Stephanie Hegland). I will send you an email so you can receive your $20 credit! Have a happy Monday everyone. 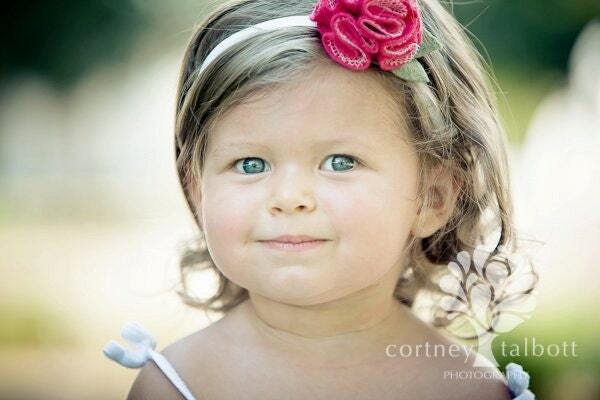 We are celebrating Ella's 4th birthday tomorrow and Tuesday, so pics will be coming soon! Grateful for small hands to hold. Grateful for smiles that warm my heart. Grateful for times when they love each other more than themselves. Grateful for messes to clean up. Melanie, from the Cantelmo Family, is here today to bless us. I am over at her blog doing a wreath tutorial. Hi my name is Melanie and I have a little blog over here. I am so thankful to have met Liz and am excited to swap blogs with her today! I look forward to meeting you, so pop on over and say hi. I started blogging to keep my family in Canada updated on how our family was doing down in toasty Arizona. Soon I realized I could use my blog to bless and minster to others. I blog about my faith, family, parenting and some other fun stuff (like giveaways and my attempts to be crafty). I pray that I can be a blessing and encouragement today as I share with you what’s on my heart. A few weeks ago I was shopping at Target with all three of my busy super active kids. We were managing well, until my middle daughter had a melt down. She didn’t want to stay in the cart and when I allowed her out, she ran as fast as she could. I calmly put her in the cart and the screaming started. It got louder and louder. Then the screaming turned into crying. I felt like everyone was judging me. Then my daughter started saying she wanted chocolate. I told her no because I didn’t want to reward bad behavior. Then a lady looks at me and rolls her eyes. I know most of us have. 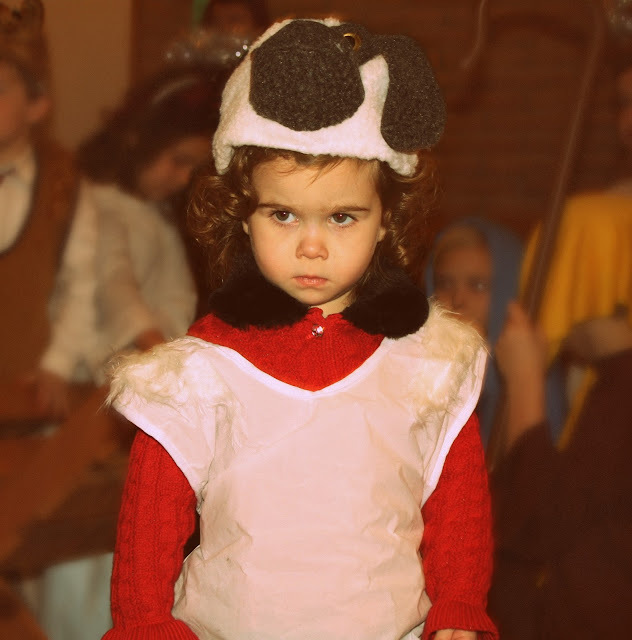 Our kids aren’t robots; they don’t always behave perfectly. Especially when they are hungry, tired or fed up. I always thought I’d be the best parent ever until I became one. God has completely humbled me. 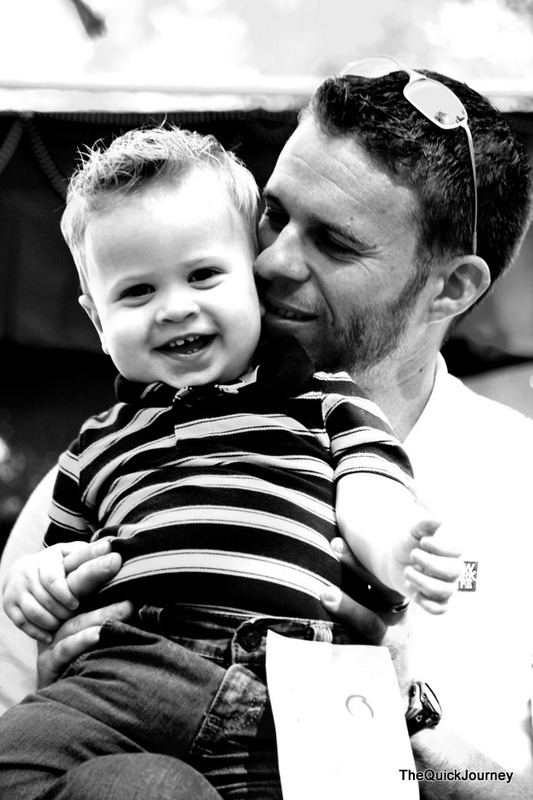 It isn’t easy to raise kids; I have to fully rely on Him to help me. As if parenting wasn’t hard enough then we have to add on the constant judgment we get from others. As mommy’s we are judged if…. How could she let her child do that…. How can they let their kids go there…. My kid would never act that way…. Unfortunately, I have to admit I’ve judged others. Then a few minutes later I’ll get frustrated because I will “feel” that someone is judging me. I have learned that I can only control myself my thoughts and my actions. If I don’t want to be judged, I shouldn’t judge others. I desire to love like Jesus loves. So often I fall short. Jesus loved prostitutes, tax collectors, the diseased, imperfect people and sinners like me. He didn't judge them; He just loved them. Lets focus more on loving others than judging them. Lets stick up for one another when someone starts judging. Lets not give dirty looks at the frazzled mom in Target while her little one is having a meltdown. Lets love on the single mom who is struggling to get by. Lets love on the broken. Lets love on the unlovable. Lets pray that God would give us His eyes. Thank you for allowing me to share my heart with you today. know that God is a redeeming God and He can use your situation for good. You just have to let Him! Thank you so much, Melanie!!! I added some new items to Paisley~or~Polkadots! 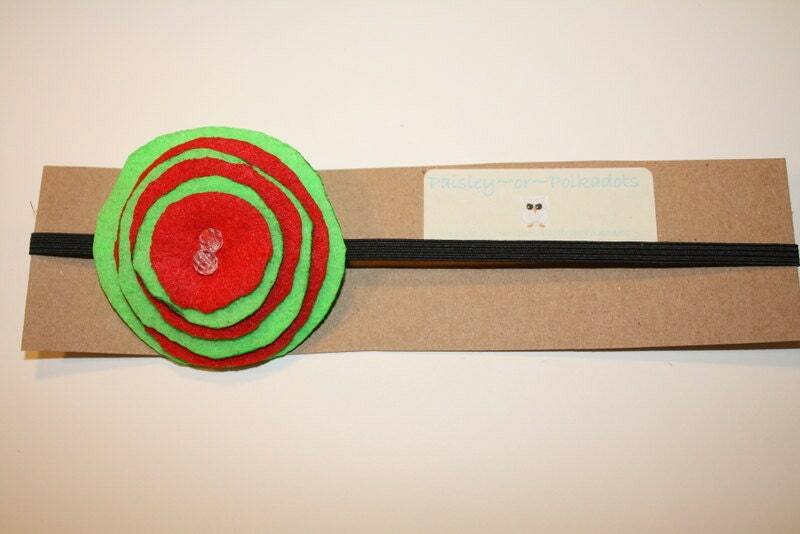 Check out the new headbands and get them before Christmas!!!! Make sure you stop by!!! Everything is handmade and stitched... not glued! Also, don't forget about the Stitches by Sarah Giveaway. Click the giveaway box in the top right corner of my sidebar!!! I thought that when we built our home we had plenty of storage on the main floor. Don't get me wrong, we do have a lot of storage, but with crafting supplies and kid toys galore... it disappears fast. I had been wanting a white dresser for our foyer to add some drawer space and lighten up the area. I was in Goodwill and found this baby with an attached mirror for $15. It was in good shape, so I asked if they would take $10 and keep the mirror (I didn't want the mirror). And, they did. My friend (who is 4'9) and myself (who is 5'2) loaded this thing in her massive Ford truck and headed on our merry way. I did not seem to take enough pictures during the process, so I will tell you what I did. I primed the entire piece after I removed hardware and washed it down. I used Rustoleum primer. Then I taped off the top and sprayed the rest with Rustoleum in Glossy White. I had to do several coats to make sure it covered well. The top (which is a laminate) was done by sanding VERY gently and then staining with a dark walnut stain. I let the stain dry for several days and then I applied 3 coats of polycrylic to the top. I love the stuff!!! It is simply amazing to work with. I put it on with an old t-shirt of Mark's. Perfect!! Mark and Liam finally put on the hardware. I kept the original hardware for the two top drawers and bought new hardware for the bottom drawers. What do you think??? I love it. It is so simple and so cheap. The total project costed around $25- $30. Who can beat that??? And, those are some blessed children. Check out my fabulous GIVEAWAY!!!! Click the box in the top right corner of my sidebar to see details. 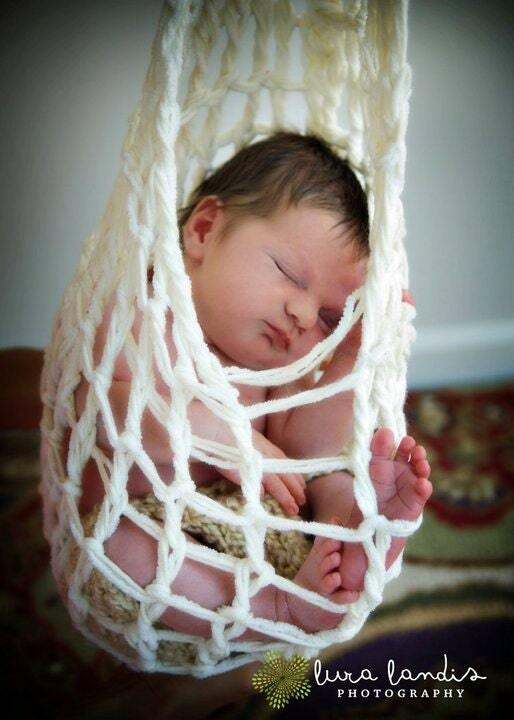 Want to win a fabulous hat, stork sack, baby fringe hammock, a baby tutu, etc. for yourself, or someone else for Christmas??? You need to enter my giveaway!!! This was not a planned post, but my heart is full. today has been the greatest of days. ella at the church Christmas program december 2010. In fact, I had a terrible morning according to my standards. I went to bed late last night and didn't get my nighttime reading done. I woke early and got only a portion of my reading done, which is a disappointment because I really love that quiet time before the house wakes. I get the kids up and running and leave to take Liam to my parents so I can take Ella to her gymnastics class and have some mommy and me time with my little lady. I drop off the little handsome and hop in the van that I swore I'd never drive, only to back it into the four-wheeler that was sitting in the gravel behind my car. The van, that I am already most of time ungrateful for because it really diminishes my cool factor, now has a brilliantly noticeable slit for all the world to see. I drop my head in frustration. I decide to let tears fall in disappointment. Upon further investigation, there was no way that I could have seen the four-wheeler sitting behind me. I sit too low in my seat, because God made me a perfect 5'2, to have been able to see it. The seats in the back where the kids sit, in addition to the natural blind spots of the van, made it impossible for me to have seen the four-wheeler. I remember that it is only a vehicle and that the four-wheeler was not a life that could have been damaged. It was a car and an atv. Not a life. Period. I went on to gymnastics only to have Ella not want to go with her teacher because the gym was like an icebox to an almost four-year old. I couldn't talk her into going and trying her hand at all the obstacles on the gym floor. I decide to hold back tears and walk her out of the gym... who cares, right? With that being said, my morning was a wreck, right? don't forget to check out my new GIVEAWAY!!! you don't want to miss out on this fabulous-ness. Click the GIVEAWAY box in the top right corner of my sidebar. $20 credit to her shop and free shipping on your entire order!!! that's something to check out! I was recently approached to write reviews for a magazine and website called, Eternal Encouragement (formerly Teach magazine). They have a "mom blog" that gives support to mommies everywhere. Every mom, at some point or another, will yell at their child. I am a firm believer that yelling doesn't get you (me) anywhere, but there are times that voices do get raised. It never feels good after the situation has dissolved and you sit and think about how that affected the relationship you have with your child. Were you in control of your own emotions? No. Were you showing self-discipline? No. Were you offering grace? No. But, the truth remains, we are ALL sinners and can't escape the mistakes we will inevitably make. This e-book is a tool to give yelling mommies some steps to take in order to remove the yelling from the parenting. There were several valid points that I will share, and then I encourage you to check it out yourself. Hello?!?! When I'm busy and my kids aren't doing what they are supposed to be doing, i.e. not bothering me, I find myself more apt to yell at them. I will tell them to stop arguing and share. Yeah... come on all you 4 year olds out there- SHARE! Seriously? Who am I kidding... which leads me to the next point. I fail to do this when I'm busy as well. I HAVE to clean, or cook, or write a quick email to someone. I don't have time to train, so they need to train themselves, right? Ummm... that doesn't work either. We are their mothers, and God has entrusted them to us. We need to train them before all else. When you take time to bond and play with your kids, you are less likely to yell. Love on them. Play with them. Sing with them. Just be... with them. Who wants to submit to a mommy that is mean and uncontrolled? They want to follow a mother that is worthy to be praised. 4. And last, but certainly not least, Pray. We should daily cover ourselves, and our families in prayer. We have a big job to do. We have many obstacles that can only be overcome with God. He needs us to come to Him and lay our troubles down at His feet. Enough babbling from me... check out the e-book! 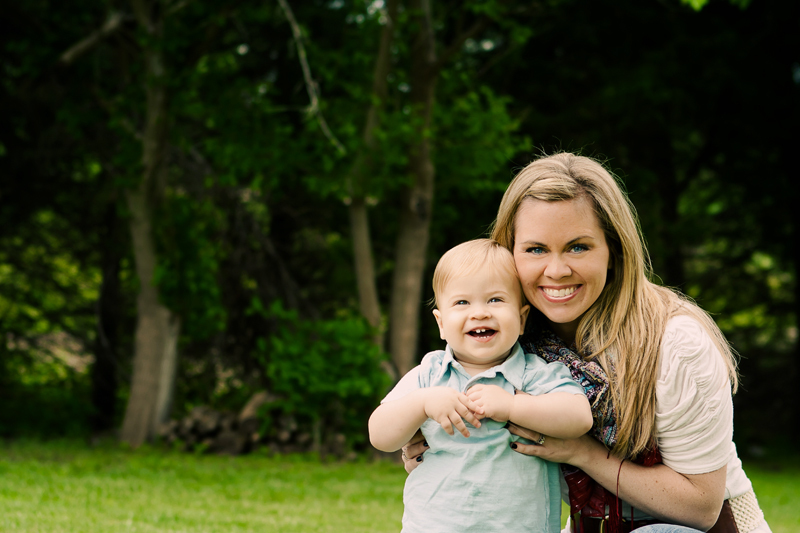 I am so excited to introduce you to one of my friends and blog sponsor, Sarah. She is the delightful owner and operator of the fabulous knitting shop, Stitches by Sarah. 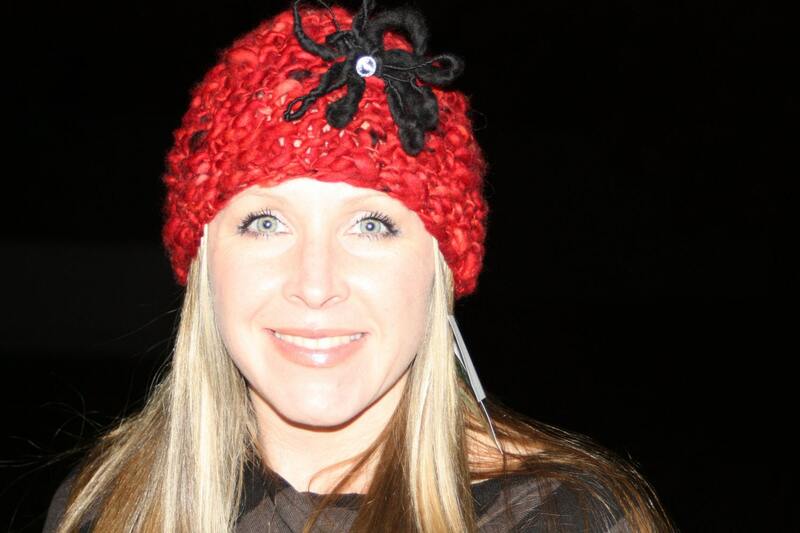 Sarah is a stay-at-home mommy of two adorable kiddos and loves to click her needles when they are restfully sleeping. She has been knitting for over 20 years and has a passion for creating high-end knits. 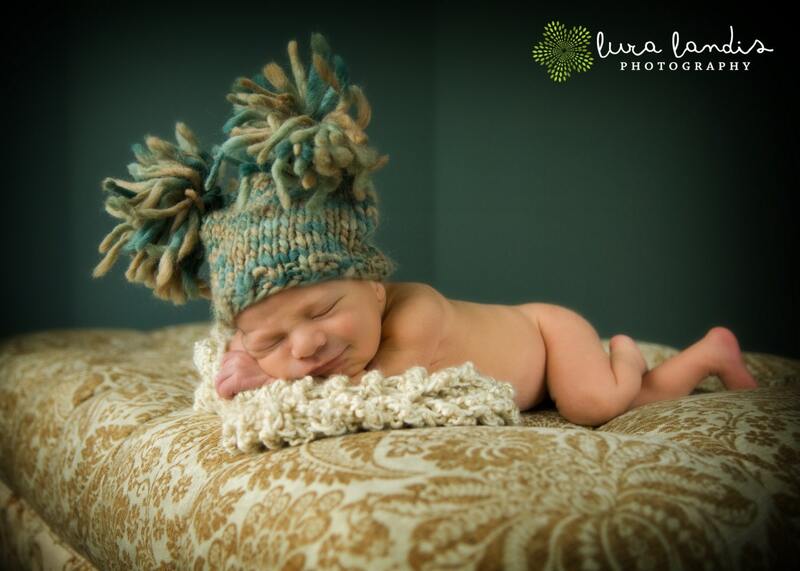 I know you will adore what she has, whether it be for photo props, a hat for a friend's baby, or for your little one. Sarah searches for the best yarn (trust me... it is so soft, I'd like to sleep in it) to make her delicious knitting treats with. toward any item in her shop (no custom orders). She is also offering free shipping for the entire order. This is such an awesome opportunity. Sarah has a wonderful shop and I know you will all enjoy perusing her virtual shelves. There are so many easy ways to enter this fabulous giveaway. Make sure you take advantage. There you have it, friends! Have a great day!!! Hey everyone! We have a guest here with us today. Katie blogs over at The Allred Abode. If you get a chance, go visit her and give her some bloggy love. These used to be sweaters! I found some old Christmas sweaters at DI, and covered pillows with them, all for around 10 dollars! Starting with the sweater, cut the material in the stomach area into 2 squares, with the front and back of the sweater matched up. With the side that you want to show in your pillow facing outwards, lay the stitch witchery in between the two layers, and iron for 10 seconds on each side for three of the sides. You can also sew up the sides, but I use stitch witchery for any projects I can. For the fourth side, it starts getting tricky, just like any pillow. Turn the pillow case right side out and stuff the pillow in. Then pin back about 2/3 of an inch on each side, to make sure no loose seams are sticking out, and lay the stitch witchery down on the bottom side. Keep the witchery in between the layers and iron slowly down the last side of the pillow, about 3-5 inches at a time. Take out the pins as you go, and pretty soon, your pillow will be done! To add a little bit more Christmas Spirit to mine, I also used the fabric from the arms of the sweaters to make fabric poinsettias, and then stitch witcheried them onto the outside of the pillows. I didn't worry about fraying edges for these flowers, I think it adds to the cuteness of them. I have a feeling this will be the first of many Christmas crafts to come, so I hope you'll join me at The Allred Abode. Okay, you all have a great day. to receive 20% off you entire holiday purchase!! I have sold a lot of headbands at local craft shows, so grab them up now because I have another one on November 19th and they are sure to sell. People are eating them up like hotcakes.